Your petit passenger has fallen asleep in the car and you need to run an errand. With the Greentom Car Seat Adaptor Kit, you can easily place the car seat on the Greentom and ride along! 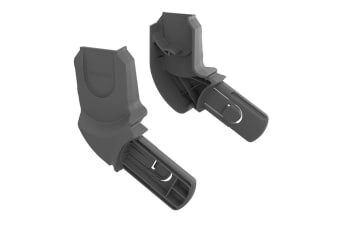 The Greentom Car Seat Adaptor Kit comes as a set of 2 and fits all main car seat brands. The chassis can carry your car seat as well.